Family owned for over 26 years, Oppenheimer Properties, Inc specializes	in providing top quality housing to the University of Michigan community! We will begin leasing for the 2020-2021 school year on November first. We have some units available now for immediate occupancy. Voted #1 in Ann Arbor by Michigan Daily readers 2002, 2006! 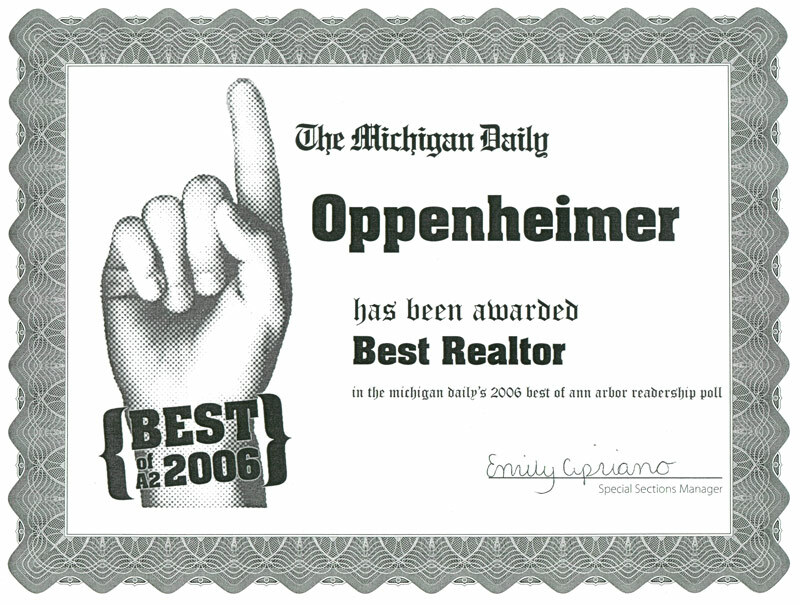 Oppenheimer Properties would like to thank the students, faculty and staff of the University of Michigan for voting us Best Realtor in the Michigan Daily's 2006 best of Ann Arbor readership poll. Oppenheimer is now seeking new management opportunities. See our entire list of available units in a printable format. Oppenheimer Properties has been a family owned business for over 26 years! ©2019 Oppenheimer Properties, Inc. All Rights Reserved.